Consumers looking for a luxury brand vehicle face a difficult dilemma – is leasing or buying a better option? This depends on many factors, including brand, price, income level, and others. If you plan to drive your brand new vehicle for just a couple of years, then leasing is probably a better option. Leases depreciate at a slower pace compared to vehicles owned by individuals. There are other benefits to leasing, one being that down payment may not be required. In other cases, you only put a small amount down. Another benefit is that you have a brand new, luxury car on your hands that you may otherwise be unable to afford to purchase. A further benefit is the fact that you get manufacturer’s warranty. There are some cons as well, one being that leasing is a more costly option than a vehicle loan. Another downside is the fact that the vehicle should be kept in good condition. Otherwise, you will be asked to pay higher wear-and-tear charges. 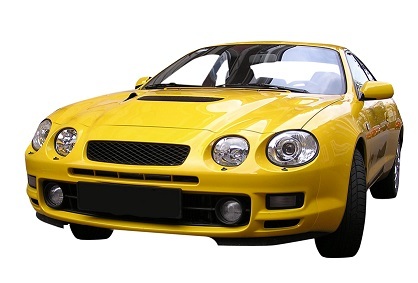 Financing the purchase of a vehicle is another option to look into. Before you shop around for a loan, you may want to have a good look at your vehicle to check for damages, interior wear, dings, and dents. If there is a lot of wear and tear, financing is a better option than leasing. There are no limitations, restrictions, or penalties for racking up mileage. The main benefit to buying a new vehicle, however, is the fact that it is yours once you pay down the balance. The larger the down payment, the less it takes to pay off a car loan. You can keep it or sell it since there is no fixed ownership period. Another benefit is that the insurance limits on your vehicle coverage are lower compared to leasing. A major drawback is that if you don’t have enough cash on your hands, then you have a monthly payment to make. The initial cost or down payment can be high as well, depending on the price of the vehicle. There are several options to finance the purchase of a luxury brand vehicle, depending on your credit score and debt-to-income ratio. One is to apply with a major or local bank or credit union provided that you have stellar or at least decent credit. There are both secured and unsecured options. You may also discuss different financing options with your car dealership. Some manufacturers also offer attractive financial packages and add-ons. Another option is to look into bad credit car loans if you have subprime or less than perfect credit. In this case expect a higher interest rate, especially if you can’t afford to make a considerable down payment. Finally, you can use a low interest card with a large credit limit to cover the down payment and get a more favorable rate and terms. Why is BMW One of the Top Automakers?